According to the Arizona Department of Transportation, 2.26 people were killed each day in Arizona in 2011. Historically, Arizona has topped the list of states with the largest number of motor vehicle collisions. As traffic crashes continue to haunt the state, Phoenix drivers must understand the dangers associated with traveling on the roads and highways of Arizona. In addition to the 2.26 fatalities each day in 2011, the state of Arizona saw about 135.66 injuries due to traffic collisions each day. With an injury every 10.61 minutes, these numbers point to the massive number of injuries that occurred throughout the year in 2011.Sensory loss is among one of the most terrifying of injuries linked to auto accidents. In general, sensory loss has been linked to motor vehicle crashes resulting in injuries such as brain damages, spinal cord injuries, and other catastrophic injuries. A common misconception is that sensory loss reflects a loss in the ability to feel pain. On the contrary, however, accident victims who suffer from sensory loss often feel quite a bit of pain and suffering. 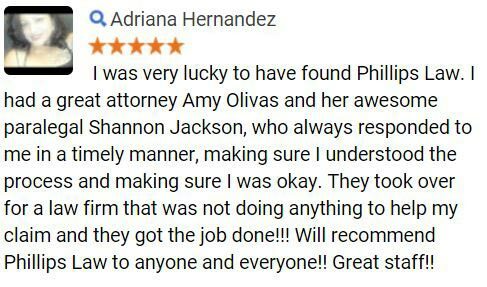 Phillips Law Group has years of experience in handling auto accident cases where sensory loss has occurred. As a result, we are able to focus on the legal proceedings while the accident victim can concentrate on recovery and healing. If you or a loved one has suffered any type of sensory loss following an auto accident, a Phoenix personal injury lawyer is here to help. For more information, please complete a Free Case Review today. The bodys nervous system is able to translate outside stimulation into its own language called neural messages. These messages are how the brain senses what is going on around the world and are sensed by the organs inside the body. Unfortunately, damages to these organs create an inability to convert brain senses into neural message. When these damages or injuries occur, sensory loss typically follows, causing the accident victims to suffer greatly. People view the world by combining perceptions of motions, colors, and images. Loss of eyesight is commonly linked to aging, however, catastrophic injuries caused by auto collisions often result in loss of eyesight to the accident victim. Whether the crash results in total blindness or partial eyesight, Arizona residents who have suffered any kind of eyesight loss are usually entitled to compensation following a car accident. The majority of communication revolves around the ability to hear. Exchanging words has become the most direct way to connect with another person. Unfortunately, motor vehicle collisions resulting in catastrophic injuries sometimes cause a loss of hearing in the victim(s) of the crash. While impairment ranges quite significantly, from being hard of hearing to deaf, compensation is typically available whether hearing loss is mild or severe. Often considered a disability on its own, dual sensory loss, otherwise referred to as deaf blindness, is another form of sensory loss typical in catastrophic auto collisions. Victims who suffer from dual sensory loss often face serious problems in their ability to communicate, access information, and in their mobility in general. Dual sensory impairment victims face serious challenges that affect their everyday living. Catastrophic injuries often leave patients feeling hopeless. 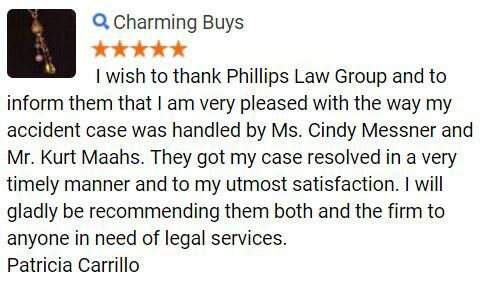 While there may be no way to bring back your vision or hearing, Phillips Law Group may be able to recover the compensation that you are entitled. To contact a Phoenix personal injury lawyer, complete a Free Case Review on this page. Auto accidents causing sensory loss tend to be very severe, as catastrophic injuries are linked to most kinds of sensory impairment. Each injury has a specific set of associated side effects linked to them. History has shown that particular damages, such as sensory loss, are linked to catastrophic injuries. The most common injuries causing sensory loss are spinal cord damage and brain injury. If you or a loved one has suffered from sensory loss following a motor vehicle collision, Phillips Law Group is prepared to fight for the compensation that you deserve. Accident victims who have suffered from sensory loss in the above types of auto collisions may be able to recover funds to pay for medical bills, pain and suffering, lost wages, etc. Victims often require quite a bit of medical attention as well as rehabilitation. Phillips Law Group believes that the negligent party involved in the motor vehicle crash is responsible to pay for these damages. Following an auto accident, a Phoenix personal injury lawyer is imperative to successfully navigating the litigation process. In cases where sensory loss occurs, the accident victim often needs to stay in the hospital to recover, in addition to attending regular rehabilitation sessions. Phillips Law Group believes that accident victims should be able to focus on their health during this trying time. 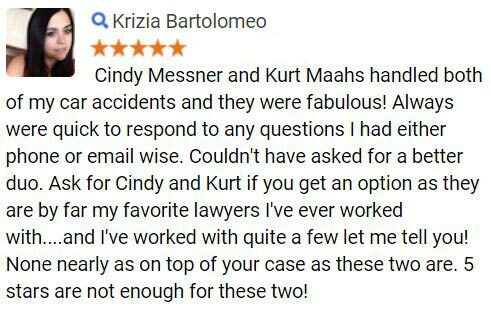 As a result, our attorneys are able to focus all of their attention on your case. 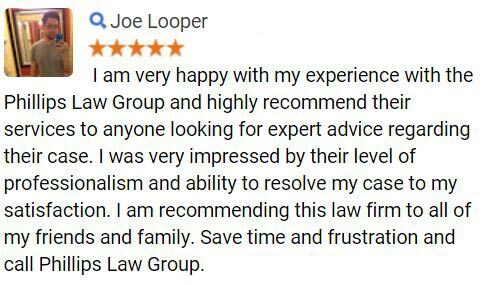 To get started today, please complete a Free Case Review on this page.